Sitting down in Sally’s garden on Friday with the team after a busy week – drink in hand and helping myself to a significant portion of Brie – I felt content. More than content; I felt happy. What is it about al fresco dining? For me, it’s the amazing food (of course); the chatter and laughter; the gentle breeze; but most importantly it’s the sunshine. Nothing compares to the warming sensation you feel when the sun beams upon your neck and shoulders. Nothing. Sunshine has always been an integral part of my happiness – but why? Perhaps it was because the first ever award I won at school aged 7, was for being ‘Miss Sunny Personality’. Who knows? What I do know, is that sunshine makes me feel all things positive. Cheerful, spontaneous and optimistic, summer is the season where you’ll see me come into my own (quite a contrast to the formidable creature who lives in her bed, binge watching Netflix during the winter months). Lo and behold, I got my answer, and it lies in Vitamin D. Known as the ‘Sunshine Vitamin’, the easiest way to attain it is naturally from the sun – good old Mother Nature. Vitamin D has been proven to have numerous positive effects on an individual’s physical health. However, more recently an increasing amount of studies have alluded to the notion that Vitamin D, and thus exposure to sunshine, is also integral to our mental and emotional wellbeing. In a study published in the American Journal of Geriatric Psychiatry, 80 participants were analysed as a means to evaluating the relationship between Vitamin D and mood. Here, it was found that those deficient in the vitamin are up to 11 times more prone to depression. (Knowing this, and living in a place like Britain that sees many an overcast day, I can only imagine the impact that this is having on our mood – I wonder if this is an explanation as to why the rest of the world sometimes see us as grumpy!) The science behind this is down to the levels of serotonin (the brain hormone associated with mood elevation) in our bodies. Exposing yourself to extended periods of sunshine increases the levels of Vitamin D, which results in higher levels of serotonin and in turn, can lower symptoms of both low-mood and depression. Of course Hubbers, as glorious as the sunshine is, it’s important that we enjoy it in the right way. While working on our mental wellbeing, we still need to ensure that our physical wellbeing is taken care of too. The amount of time we need to be outside to get the recommended dose of Vitamin D varies based on your skin type and the strength of the sun, so make sure you know how much sun your skin can take to stay damage-free and ensure you’re sufficiently topped up on sun cream (you’ll thank me later when your skin’s not burnt to a crisp!). With that in mind, I encourage you to get out there and lap up the last of this beautiful weather as the end of summer draws closer. If you’re familiar with the Happynesshub you’ll know that we’re big fans of awe walks. In this glorious weather, awe walks are the perfect way in which to top up on the all-important ‘Sunshine Vitamin’. Alternatively, if that’s a little tricky to incorporate into your schedule, why not try al fresco dining like I do? Take your lunch break outside, or have dinner in your garden when it’s cooler. 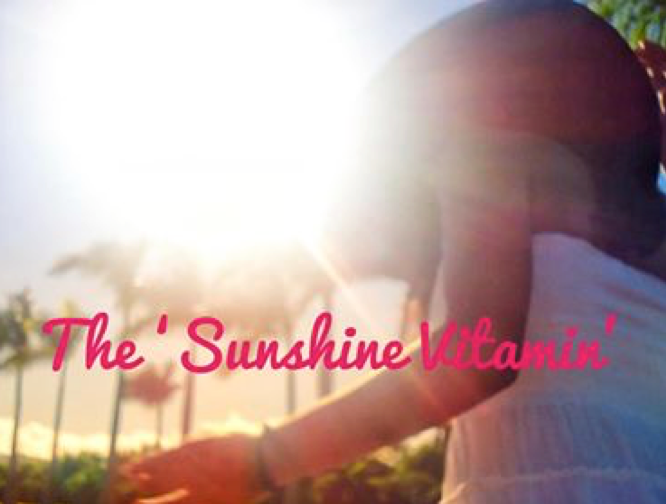 Getting your daily dose of Vitamin D doesn’t have to be hard. While we have it, how about making use of the sunshine? After all, it’s an easy, accessible and free tool to boost your mood.